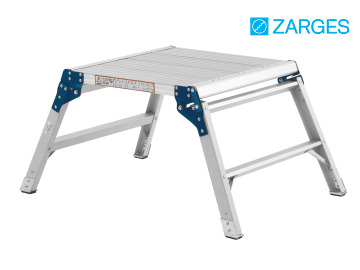 The Zarges 100304 Hop Up platform is made from aluminium. 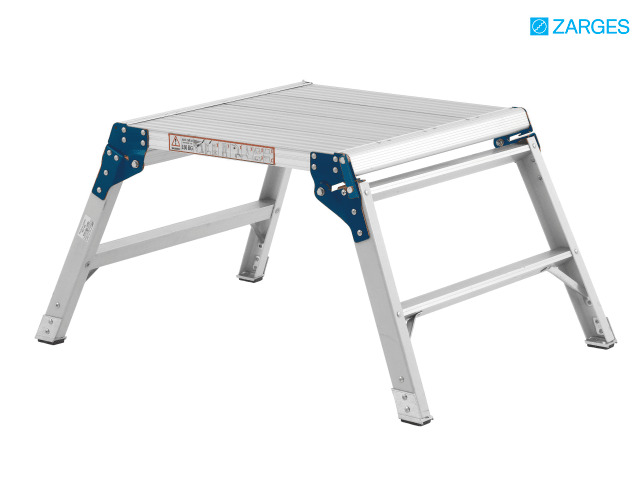 It is a low level professional work platform which is lightweight and durable and ideal for a multitude of low level tasks. A safety locking catch prevents the legs collapsing underneath. The platform is easy to store and transport due to compact closed dimensions and has a 150 kg load capacity. Platform Size: 600 x 600mm.